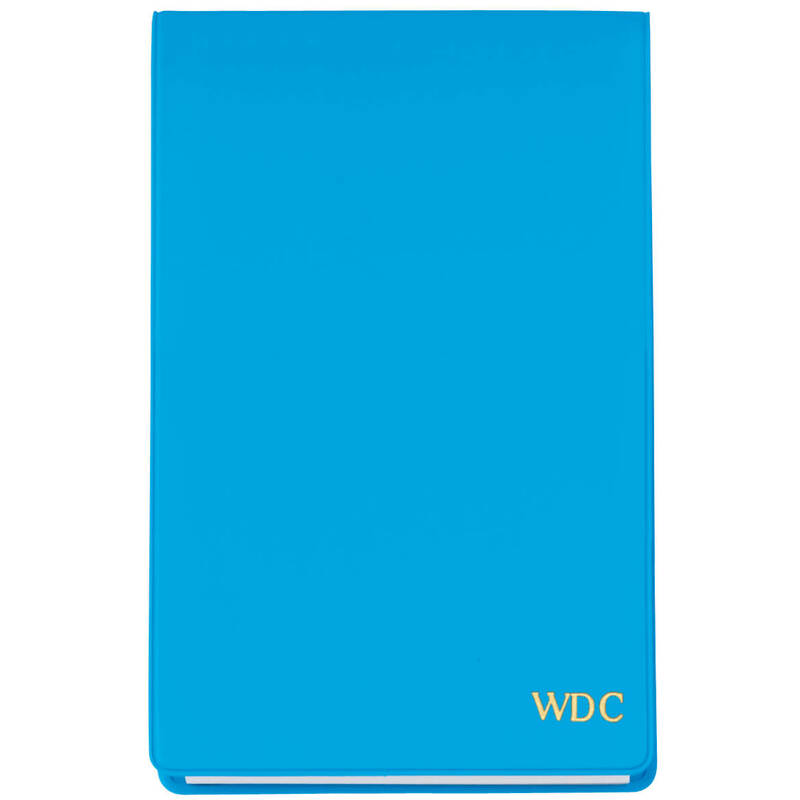 I LOVE THESE FOR PERSONAL NOTES, SHOPPING,AND ALAROUND USE. I LOVE ALL THESE COLORS AVAILIBLE AND WISH THEY WOULD RETURN WITH THE GREEN ONE. I USE THEM DAILY AND SWAP COLORS ACCORDING TO MY APPAREL. Great size for home, purse or a business meeting. True, the vinyl cover has a cheap feel, but the notepad is handy. I like the colors offered for this product. This is a nice little pad. The cover is made of vinyl not paper. Fits in pocket. What is the blue cover made of? Thank you! BEST ANSWER: I think vinyl. Easy to just wipe clean with a damp cloth. Where can buy refill pads to fit this pad? BEST ANSWER: Thank you for your question Unfortunately the refill pads have sold out. We no longer have inventory and are not expecting further shipments from the supplier. You may want to check at a Hobby Lobby or printing store. We hope this information will be of help to you.